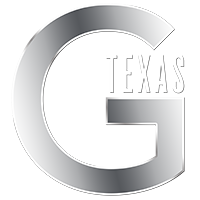 G Texas Catering is a leading event catering and special events company in the Dallas-Fort Worth area, providing custom event catering, bar catering and event design. Providing upscale event catering isn’t the only thing that makes G Texas Catering special – its dedication to charitable giving has also become a part of its reputation in the event industry. The American Cancer Society is dedicated to free the world from cancer. They fund and conduct cutting-edge research on a variety of types of cancers. They also support cancer patients and their families and focus on creating awareness about cancer prevention. The Yellow Rose Gala Foundation’s mission is to rid the world of Multiple Sclerosis (MS). They have partnered with the National MS Society where 100% of the proceeds raised at the gala go directly to progressive MS research. The United Way’s goal is to advance the common good by creating opportunities for all. Their focus is on education, income and health. They offer programs to help children succeed in school, assist young adults with financial plans, creating a health and human services hotline, end human trafficking and ensure that the elderly receive the right support from their caretakers. KPMG’s Family for Literacy program’s mission is to eradicate childhood illiteracy by putting new books into the hands of children in need and developing the next generation of young leaders through reading. The American Heart Association has been striving to save and improve lives by fighting heart disease and stroke. They have invested more than $4.1 billion in research to fight cardiovascular disease. TACA’s work focuses on the transformative power of the arts. They nurture and provide leadership to the arts community by providing flexible funding and much-needed resources to allow arts organizations to spend more time running effective programs that transform lives through the arts. The Texas Rangers Baseball Foundation is dedicated to improving the lives of children in need by providing funding for youth crisis, youth health initiatives, youth baseball programs and youth education. La Fiesta de las Seis Banderas was founded to provide educational, charitable and civic needs by receiving, investing and distributing funds to carry out the preservation and development of cultural and historic attributes of the Town of Highland Park and the City of University Park. The Elizabeth Toon Foundation was created to support organizations that provide education, assistance, comfort and therapy to those who have been impacted by abuse, grief, poverty, disabilities and terminal illnesses. The Crystal Charity Ball’s focus is to aid, support and make contributions to children’s charities in Dallas County. Volunteers of America takes steps forward to assist the most vulnerable. They focus on human service programs to help veterans, at-risk youth, the elderly, men and women returning from prison, the homeless, people with disabilities and those recovering from addictions. The Salvation Army is an international movement whose focus is to preach the gospel of Jesus Christ and to meet human needs without discrimination. G Texas Catering is joining forces with the WakWay Foundation to combat food insecurity among children in the Dallas area. Food insecurity is more than just being hungry. It is the lack of consistent access to a sufficient quantity of affordable, nutritious food. Many people in Dallas and its surrounding communities do not know where their next meal is coming from. It is estimated that 1 in every 4 children in Texas (almost 1.9 million) are food insecure. In North Texas alone, 300,000 children can’t count on having enough food at mealtimes. G Texas Catering has recognized this heartbreaking reality for many of our neighbors in Dallas and has begun fighting the battle against food insecurity by repurposing extra food from the hundreds of events we cater every year. We will box up surplus food for WakWay to take to inner cities and shelters in the Dallas/Fort Worth area. Through this partnership, G Texas Catering will be able to donate over 1,000 pounds of food each year! 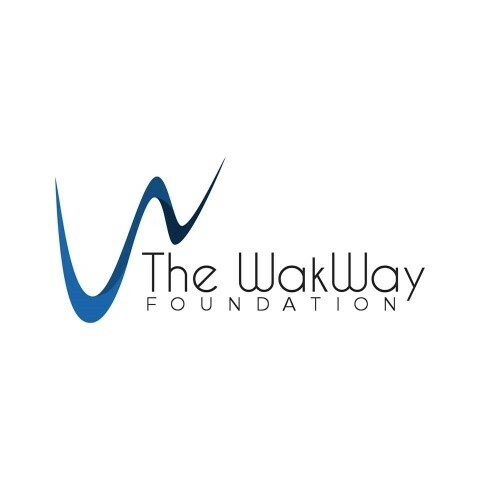 The WakWay Foundation was created by Don “Wak” Wakamatsu, a former professional major league player, scout, manager and current coach at the Texas Rangers. 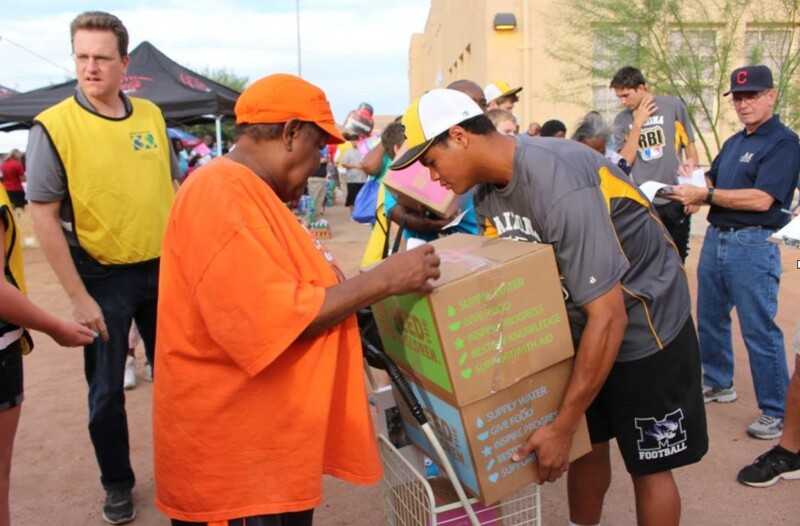 As a professional athlete, Wak had a strong desire to find a way to help people, especially children, stay healthy. He provides easy to make, healthy meals and snacks to children in the Dallas area. The WakWay Foundation also founded The Produce Stand project. This idea came to fruition when Wak noticed a crop of cherries at his family farm wasn’t being picked because it was cost prohibitive. He realized that this abandoned crop and many more like it could be used to feed people who are struggling with food insecurity. He immediately began devising a transportation system to get abandoned crops to shelters and other volunteer organizations in the Dallas area. However, he found that getting the food from donor to the children and families in need is the biggest detriment to feeding the hungry. According to the WakWay Foundation, the problem with getting food to those who need it most is not the lack of food – it’s the complication of logistics that keep this food away from those who need it. It is estimated that over 72 billion pounds of perfectly good food, worth $218 billion, goes to waste each year. This food waste fills up to 21% of our landfills. Also, 20 billion pounds of fruits and vegetables are discarded on farms or abandoned in fields and plowed under. WakWay Foundation’s streamlined transportation system allows food to go from the donation site to a table within hours, providing large quantities of healthy food to numerous people. 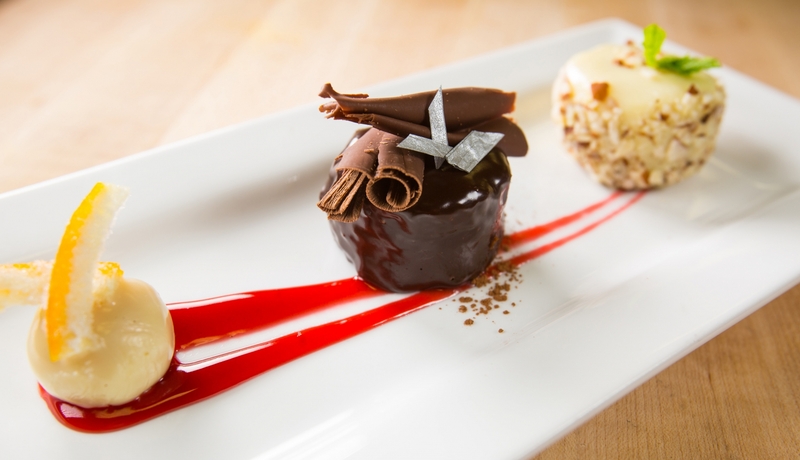 The G Texas Catering culinary team specializes in creating custom menus and fulfilling special requests for clients. What happens when the client requests a dish or variation of a dish that isn’t in our extensive recipe book? Executive Chef Micheal Gooch writes one. 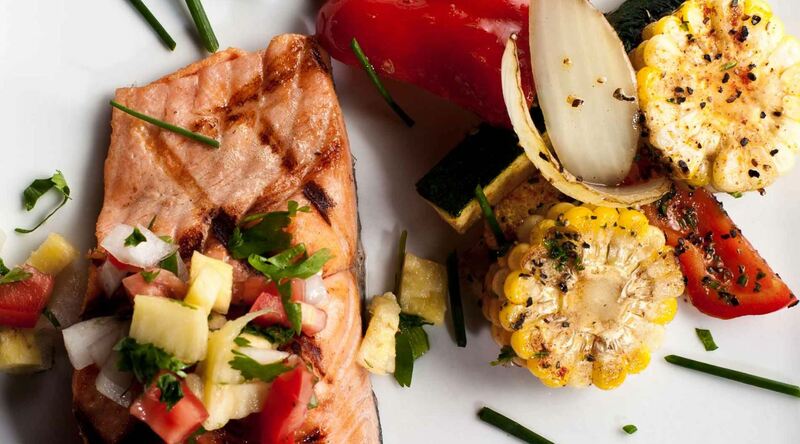 Unlike most restaurants, catered events feature a wide variety of menus and cooking styles. Many events call for regional flavors such as Southwestern, Tex-Mex, Creole or Barbecue while others include global cuisine from Asian flavors to Mediterranean and traditional Italian offerings. It takes years and years of practice with culinary techniques, flavor profiles and learning the science behind the art to have the ability to create a proper recipe from scratch. All of these factors and many more will determine the types of food used, how it will be presented, how much food will be sent and how it will be transported to the event site. The Chef may be happy with the flavor profile and presentation of a meal at our corporate kitchen, but he must consider that the product temperature has to be maintained throughout delivery to the event venue and service to our guests. If the venue has kitchen or preparation facilities the Culinary team will often deliver the components or “mise en place” to the venue and complete the preparation on site to ensure the meal is fresh and flavorful. Seasonings, garnishes and sauces are all carefully planned in the final plate presentation of the entree, Hors d’ Oeuvres or Dessert to be served. 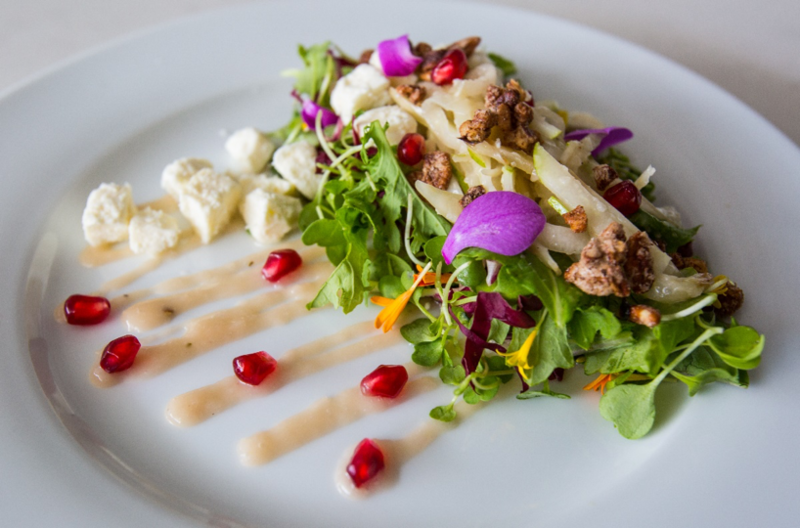 The G Texas Catering culinary team doesn’t only create new menus at the request of our clients; creation is always at the forefront of Chef Gooch’s mind. The most sought-after event designers require menus and bar services that reflect their creativity and style. It’s important to anticipate and be able to create what people want. This ensures that G Texas Catering always has the most modern, upscale menu choices in the Dallas-Fort Worth area. The event industry is constantly changing to adapt to the latest trends and popular event themes. Due to these ever-changing trends, our culinary team is constantly designing new recipes to guarantee the execution of a delectable, personalized menu that your guests will remember. Stu Selleck fell in love with cooking watching his father in the kitchen as a child. Since then, He knew he wanted to attend culinary school and become a chef. He joined the G Texas Catering team in October of 2014 working as a chef in our corporate kitchen. After showing immense culinary and management skills, he was asked to head G Texas’s café operation at The Potter’s House. 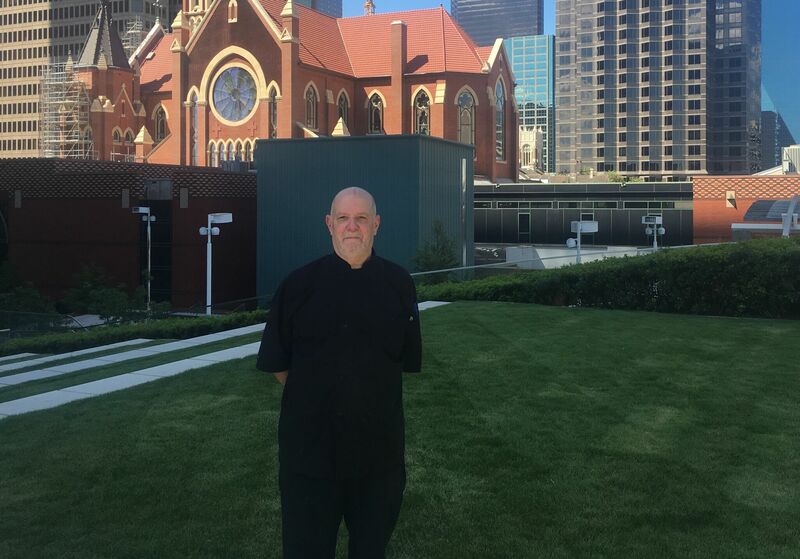 Stu continually shows his dedication to G Texas Catering and his work as a chef; which is why John knew he was the right person to assist with the development and opening of G Texas’s new restaurant concept in the Dallas Arts District, The Artisan Craft Kitchen and Terrace Bar. Stu said the best part about being a member of the G Texas Catering family is just that; it is a family. Even though being a Sous Chef is a physically and mentally taxing career, its worth it to him to see the finished product leave the kitchen for the customer to enjoy! Stu is loving life at the Artisan, especially when he can cook (and taste) Italian food – his favorite! He credits much of G Texas Catering success to its great leadership. 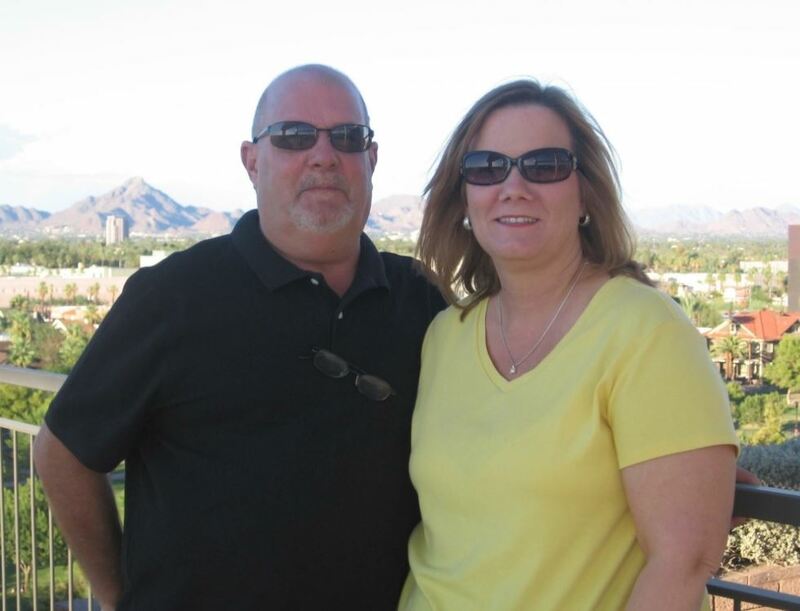 We are proud to have Stu as a leader within our organization and an integral part of our successes. Chandon Arbors is a romantic event venue with a French Country design that exudes style and elegance for your wedding. Set to open in the coming months, guests will be able to book events at this venue starting in late July, just in time for a dreamy summer wedding. Chandon Arbors has been meticulously designed with hosting the perfect wedding in mind, providing natural surroundings, a beautiful garden backdrop, and breathtaking architectural elements that will impress both family and friends. With three private acres in old town Keller, Chandon delivers a serene setting and exclusive access to their property for your nuptials. This 15,000 square-foot venue provides premium accommodations and a variety of event spaces, along with comprehensive event planning, catering and bar services to meet all your event needs. The luxurious design of this venue will transport your guests back to the style and elegance of the 1920’s and 1930’s, incorporating a French Country design for added romantic appeal. The property features a foyer, ballroom, indoor and outdoor ceremony spaces, and private spaces for your comfort and convenience. Cantera Iron and glass double doors open to the Grande Foyer, which includes a vaulted barrel ceiling with a candlelight chandelier to dazzle your guests upon entering. With over 3,400 sq. ft. of space, the Grand Ballroom is the largest room with an unrestricted view of the facility’s beautiful grounds. 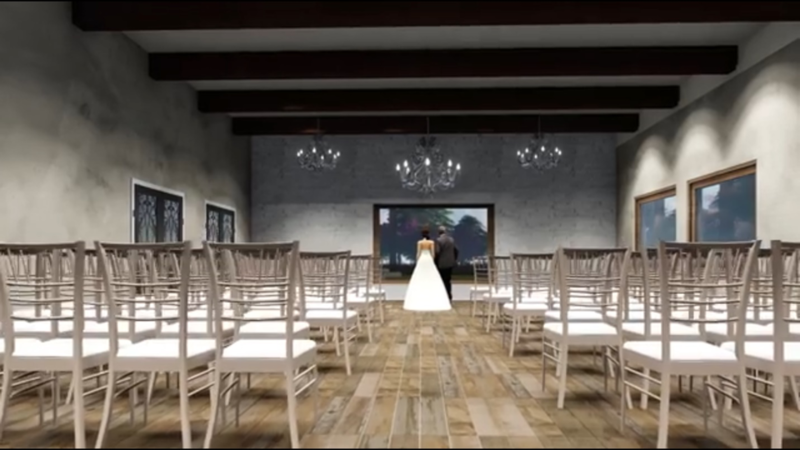 Wood flooring, sixteen candle light chandeliers, and the eight columns that surround the reception room with 12 x 12 glass mosaics will provide a romantic setting as you dance the night away after your vows. The vestibule is the venue’s “jewel box” of a private space, boasting a gorgeous private area with a 16-lit crystal chandelier that resembles clusters of teardrops. The impressive and glamorous design of this space delivers amazing photo opportunities for you and your guests. 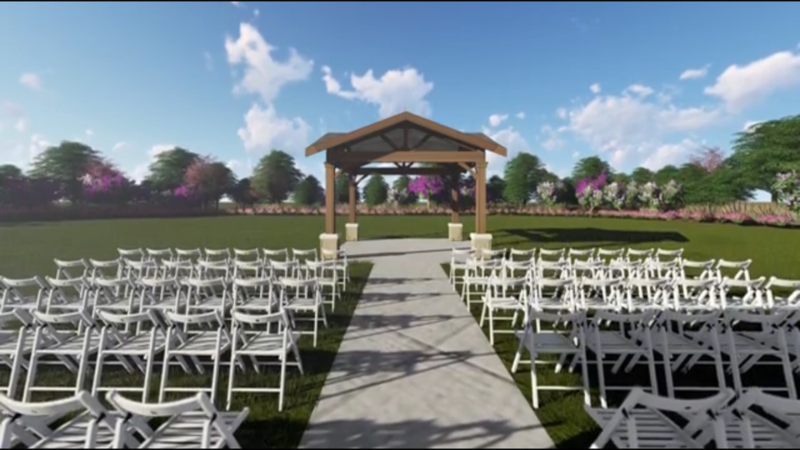 The venue’s versatility will accommodate a variety of occasions with outdoor and indoor ceremony spaces available for booking. The indoor ceremony space delivers a pristine environment, with a “white on white” split stack stones backdrop and large glass windows to allow for natural lighting. The wood flooring and wood beam ceilings present an antiquated charm that will complement the design of your event perfectly. Chandon’s outdoor event space is equally breathtaking, displaying a scenic garden and gazebo with French Country trusses for a picturesque ceremony. The outdoor patios provide a prime view of the beautiful grounds and include a cascading waterfall made of textured mosaic glass tiles. The Cedar Wood Wall and Stone Bar create a seamless backdrop for the cocktail hour or toast after the ceremony, with a fireplace setting that allows seating for twelve. Winding cobblestone walkways will guide your guests through the vibrant and enchanting French Country gardens, complete with arbors and bridges. Guests will enjoy first-class service, luxurious amenities, and top-notch catering and bar services on the day of their event. The Bridal and Groom Suites are wonderful perks that the facility offers for your comfort and ease on the day of the wedding. Drawing inspiration from French Normandy, the Bridal Suite is the epitome of elegance and convenience. The suite features a 14-ft vanity, full 3-way mirror, vertical lighting and private bathroom. The Groom Suite is an ideal setup for the guys, featuring a flat screen TV, minibar, and soft seating for optimal comfort and relaxing in style. In addition, the venue provides a full-kitchen for our catering team to prep impeccably plated dinners, and an onsite bar to create the perfect cocktails for your wedding celebration. Custom wedding packages are available with “glitz and glam” upgrades to make your special day a success, and a dedicated team of event professionals will ensure that you and your guests are receiving the highest level of service during the event. Onsite event managers will be present at the day of your event to carefully manage and execute the details, allowing you to relax and enjoy your day without stress or interruption. Chandon Arbors has created the picture-perfect wedding venue to meet your needs and is equipped with a stellar team of professionals who will work diligently to make lasting memories for everyone in attendance. 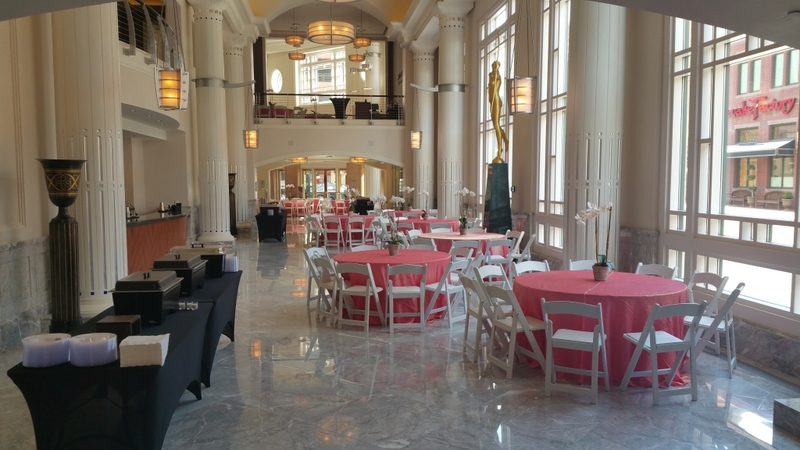 The Hall Terrace is a hidden treasure in the Hall Arts Dallas complex, with a prime view of the Dallas skyline for corporate functions, social gatherings or private events. 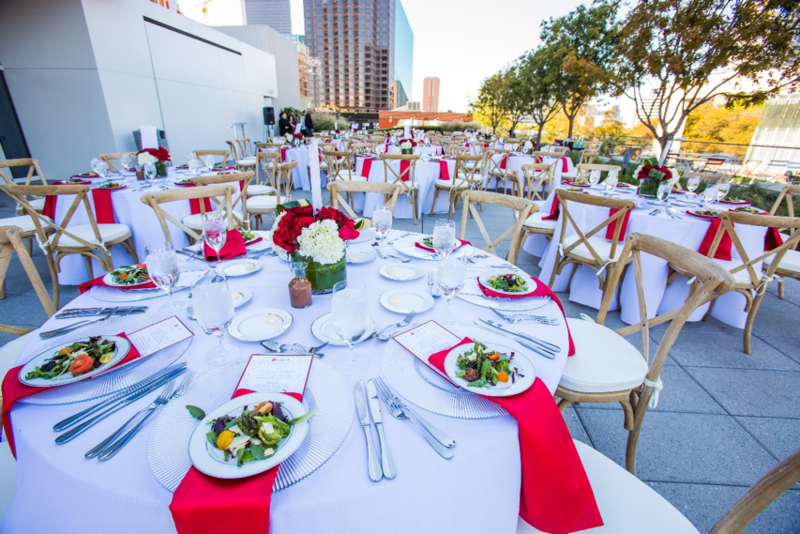 This event venue is an excellent choice for guests looking to host intimate functions and gatherings in the Dallas Arts District, with two beautiful outdoor event spaces available for booking. The space provides ample accommodations and a flexible design to fit any event theme. Both the Hall Terrace and the Texas Sculpture walk feature an upscale setting and a modern design for hosting the most high-profile events. Comprehensive Catering by the Artisan Dallas and Event Services provided by G Texas Catering will deliver the best possible experience for your guests during your upcoming event. Our event planners will explore the endless potential of the space with skillful event planning, custom-designed catering menus, and hand-crafted cocktails. 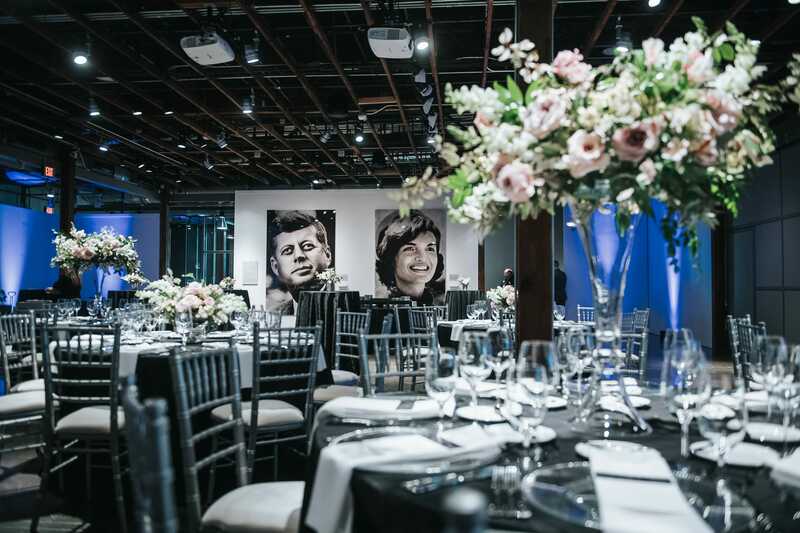 At the forefront of both event space’s design is a focus on contemporary sculpture and art. Hall Arts Dallas showcases a collection of innovative art from all over the world, and the Texas Sculpture Walk features 10 works by some of the state’s most renowned artists. The marriage of art and design provides tenants of the Hall arts complex and guests alike with a unique, first-hand experience of works that inspire imagination and productivity. The Texas Sculpture Walk delivers a lively setting for events and allows guests to explore a non-traditional approach to art with the strategic placement of these works on a landscaped walkway. The beautiful Sculpture Walk is an exceptional choice for any event, with approximately 9,805 sq. ft. of space for 300 seated guests and 400 reception-style. Guests will enjoy first-class accommodations while taking in the picturesque surroundings of the Hall Arts building. Catering provided by the Artisan Dallas and Event services by G Texas Catering will ensure that your event is managed efficiently. 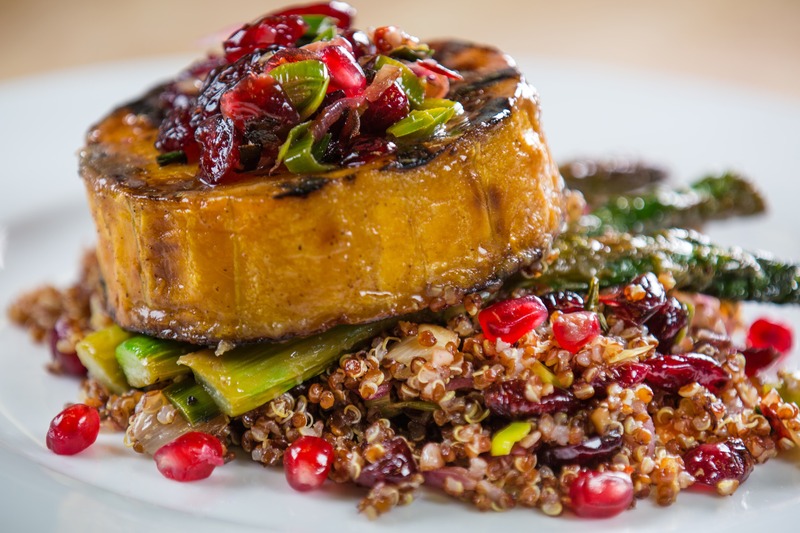 The Artisan offers extensive catering menus tailored to fit a variety of event settings, taking a farm-to-table approach to catering services with innovative culinary design. The artful culinary creations by our team of chefs at the Artisan are perfect for the events held at the Hall Terrace. Stationed or passed-hors d’oeuvres, plated dinners, and buffet-style service are catering options available to make your upcoming event a success. Both the Hall Terrace and the Texas Sculpture Walk are two exquisite event spaces that offer endless possibilities and impeccable services to execute your vision. 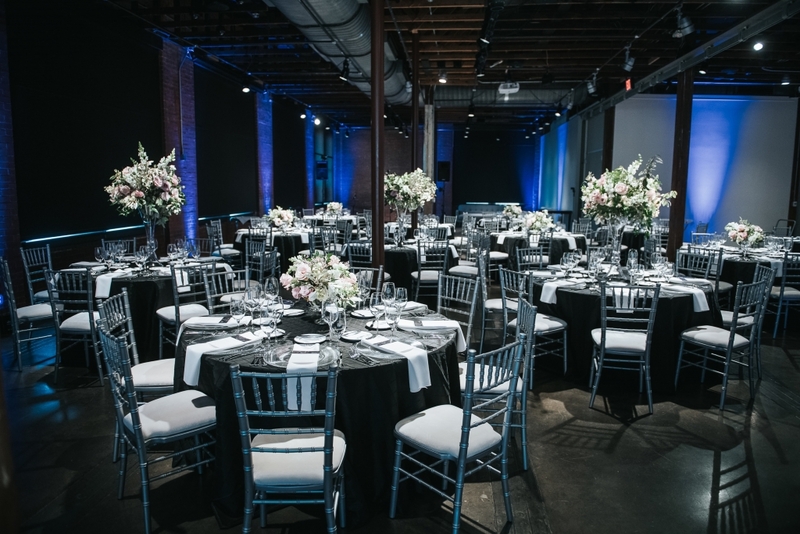 The Cotton Mill delivers a beautiful and historic event space for weddings and private events in Dallas, Texas. This event venue boasts an “industrial elegance” to suit any style or occasion. Built in 1910, the McKinney Cotton Mill once served as the largest denim manufacturer in the world. Renovations to the property over the past 20 years has made it the thriving wedding and event venue it is today. One can still see traces of its history in these renovated event spaces, and specifically in the beautiful remnants of the Dye Room. The Cotton Mill offers a superb variety of event spaces, catering, and bar services for you take advantage of on your special day, making this venue an ideal location for your upcoming nuptials. Whether you’re dreaming of a gorgeous outdoor wedding or an elegant indoor reception, the Cotton Mill provides both settings for you to choose from. The venue’s versatility and the blank canvass of event space can be tailored to whatever vision you have in mind for your special event. The architectural beauty of this facility will create the rustic wedding of your dreams with a gorgeous scenery for photos. 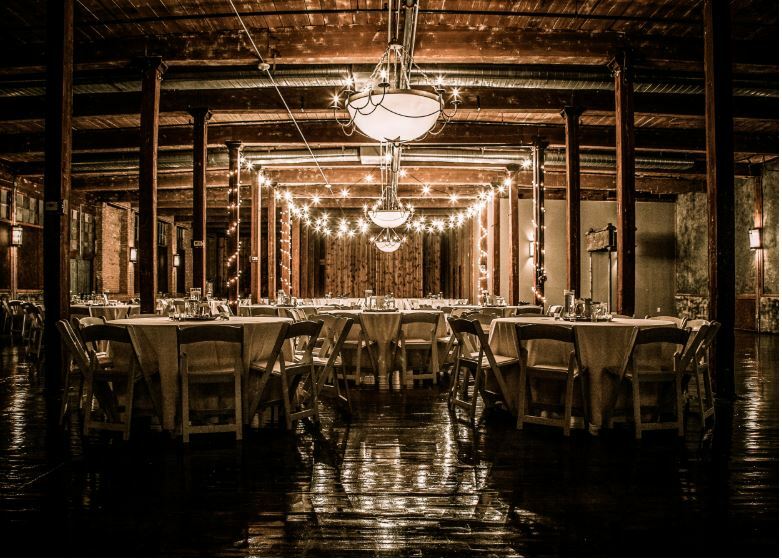 The Cotton Mill provides three different event spaces for both large and small functions. 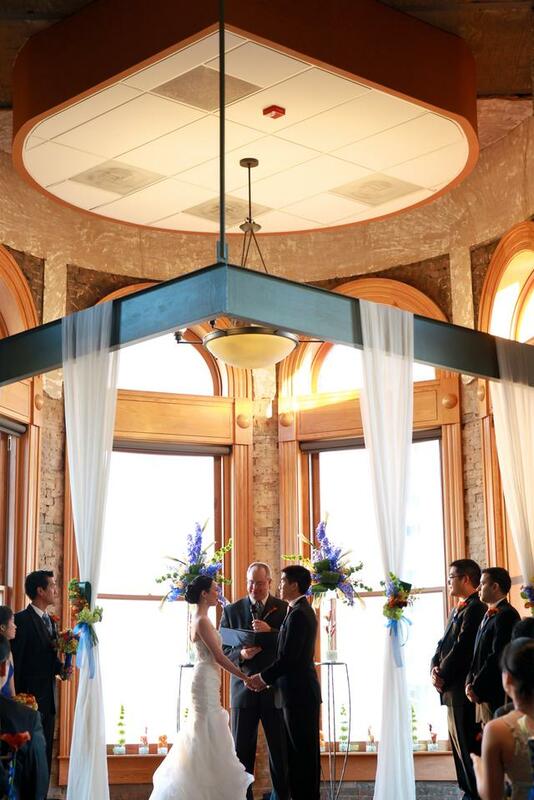 The Indigo Room, also known as the “Dye Room”, delivers the perfect setting for outdoor ceremonies with its open space, brick walls, and arched windows. The remnants of the Dye room’s original foundation present an incredible backdrop for wedding photos as well. The raw beauty of this space is the perfect fusion of rustic and refined and will leave your guests in awe during the nuptials. Nestled between the Dye room and building is a stunning “hidden” garden area with a scenic waterfall and deck that can be used for the cocktail hour. This time will allow the bride and groom to take photos after the ceremony while guests mingle and enjoy a delicious variety of tray-passed hors-d’oeuvres and signature cocktails provided by our catering and bar services team. Double wooden doors open to the Event Hall, which provides over 9,000 sq. ft. of event space to accommodate up to 400 guests. 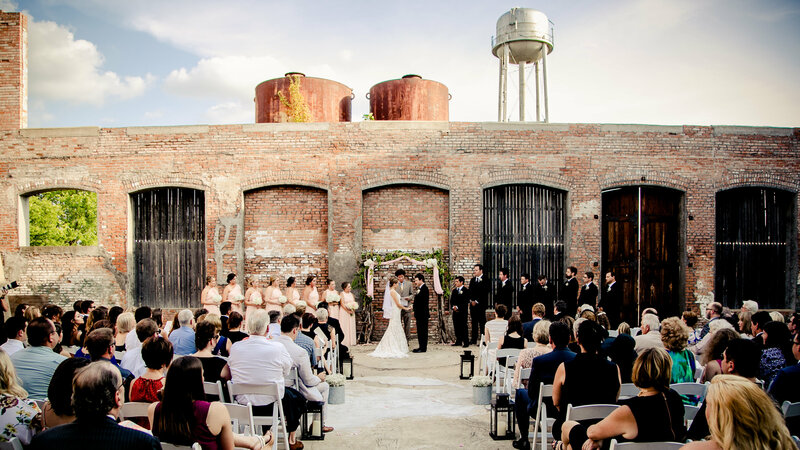 The rustic qualities of this event space and the exposed brick walls create the perfect ambiance for a breathtaking ceremony. The room can be adorned with the décor of your choice to bring a refined elegance to the event space. The Event Hall can be utilized for either large or small weddings and receptions, and for smaller parties, both the wedding and reception can be held in the same room. The Grand Hallway is also a gorgeous indoor venue for your ceremony or reception with hardwood maple flooring and a stunning view of the garden area that is visible through the Event Hall. Both spaces will allow you to celebrate your special day with style and grace, and your guests will enjoy the history and charm of this venue. The Cotton Mill ensures that every detail of your wedding is impeccably handled and executed. The venue provides wonderful amenities that include Security, Tables, Chairs, Porter Service and a Bridal Suite. The Bridal Suite delivers generous features to create a welcoming and comfortable environment for the bridal party before the ceremony. With a little over 500 sq. ft. of space, the suite offers a stunning chandelier in the closet for taking pictures of the wedding dress, a refrigerator to stock with your favorite snacks and beverages, and hair and makeup stations for the getting-ready process. To complement the design of your event, the G Texas Catering team provides catering and bar services that can be customized to your needs. From beautifully plated dishes to buffet-style service, our team will craft menus that reflect the vision for your event. Additionally, our Bar Services team will work with brides-to-be to craft signature, crowd-pleasing cocktails that tie-in with the overall theme of the wedding. From concept to completion, our event staff will ensure that everything runs smoothly and is done in excellence to create a unique and unforgettable experience for any occasion or setting. If you are interested in booking this venue for your next event, contact us or one of our Sales Professionals at (214) 421-0774. An event venue rich with personality and history, South Side on Lamar provides a unique experience for hosting weddings, social events, corporate meetings and more. This National Historic Landmark once served as the Sears merchandise center, and guests can still enjoy the cultural and historical significance of this space despite its modern and notably artistic transformation. 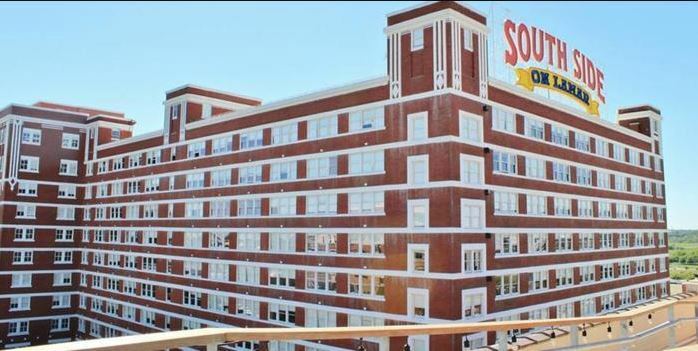 Southside on Lamar offers a variety of rooms and settings for any party or occasion, and the spacious accommodations provide endless opportunities when planning your next event. 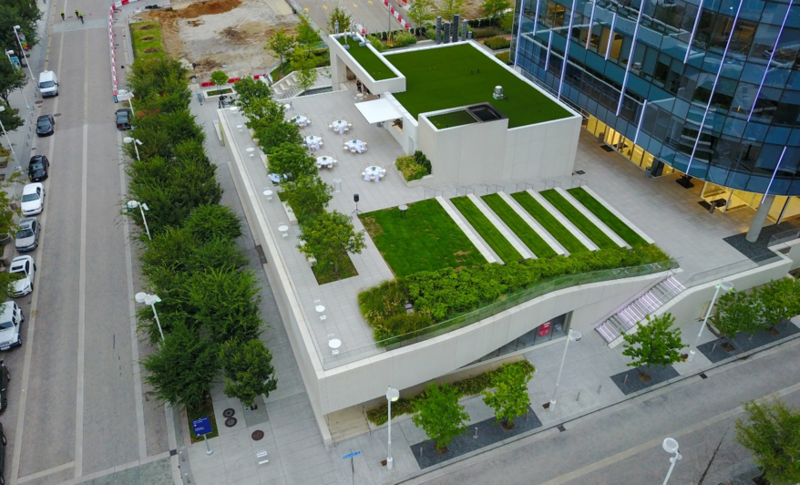 With a prime location in historic downtown Dallas, Southside on Lamar offers corporate clients a venue that’s centrally located and brimming with creative potential. This brick complex has stood on the south side of downtown for more than 100 years, offering guests local history with a modern touch. 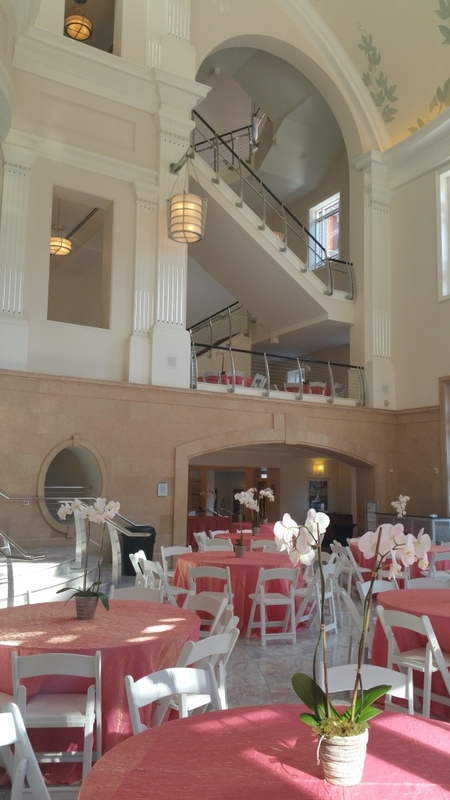 The variety of event spaces this facility has to offer can be utilized for fundraisers, meetings, mixers, receptions and luncheons can find an event space tailored to their specific party needs. This venue also features architectural elements that include exposed brick, original fixtures and panoramic views. Its noted artistic flare has made it one of Dallas’ premier locations for film shoots, photography, music videos and television shows. 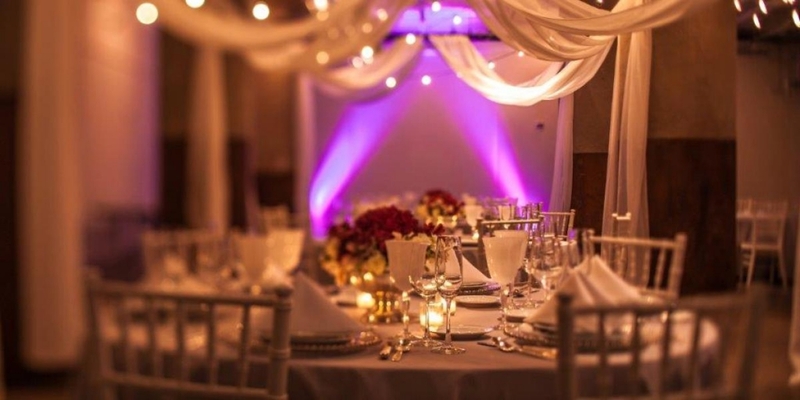 However, event planners can still take advantage of the blank canvass of event space and incorporate the venue’s artistic features into the event design. Whether your upcoming event is formal or casual, our event planning and catering staff will cultivate your vision to design virtually any style of corporate function. A vibrant event space with notable character, Southside on Lamar is the perfect wedding venue for the contemporary bride. With its simplistic design and original furnishings, this space offers a versatility to serve any event purpose. Our event planners will decorate the facility to reflect your personal style and taste to create the wedding of your dreams. This venue is a breath of fresh air for soon-to-be-brides looking for a less than traditional wedding venue. The facility offers an open and “unfinished” touch that’s ideal for event planners looking to flex their creative chops. Custom Catering menus provided by our amazing team of chefs will also reflect the vision for your event, along with handcrafted cocktails by our bar services team to complete the night’s celebrations. If you’re looking for an innovate and stylish wedding venue, Southside on Lamar is an exceptional choice. The Old Red Museum is a timeless event venue in Dallas, Texas that conveys a rich history and unprecedented style with its event planning and catering services. 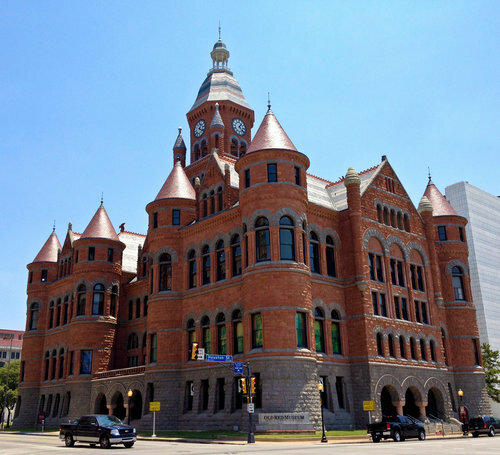 Better known as “Old Red”, this 1892 Romanesque Courthouse was once the heart of Dallas County life and government. With timeless elements that can be tailored to any event setting, this venue is great for corporate events, social gatherings and private parties. Despite its transformations, The Old Red Museum incorporates many of the features and architectural elements from its original standing. The historical and cultural significance of this event space presents an environment brimming with photo opportunities. Pictures set against the venue’s grand entryways made of marble and stone or the beautifully restored Grand Staircase provide the perfect backdrop for your special event. Many nuptials have been held in The Old Red Museum, and the historic rooms still maintain their original grace and appeal for guests wanting a more traditional wedding. The venue’s largest rental space, The Great Hall, features 20-foot ceilings, chandeliers, Victorian color schemes and exquisite arches that accentuate the building’s original architectural design. Guests will find that the space’s refinement and beauty make for a stunning event. The Hatton W. Sumners Courtroom is another spectacular room that accommodates up to 120 guests for ceremonies. Additionally, the Restoration Room holds up to 250 guests and offers an area in one of the Old Red’s turrets for your ceremony. A private bridal suite is also available for weddings, providing plenty of space to dress and prepare before the nuptials. 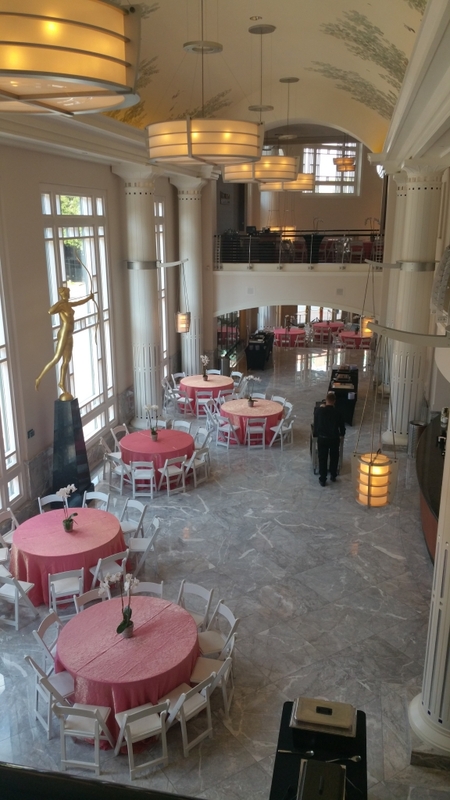 During the reception, guests have access to the museum level where they can mingle while enjoying appetizers and cocktails prepared by our incredible catering and bar services team. The Restoration Room may be a premier choice for weddings, but it’s also an ideal event space to host your corporate party. This stately room can accommodate up to 120 guests with the inclusion of tables and chairs for corporate meetings or functions. 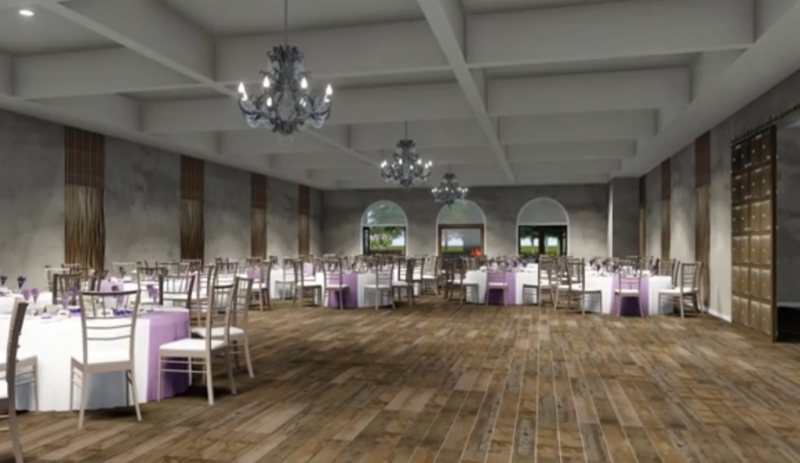 The Great Hall can also seat up to 300 guests with spacious accommodations for catering services. The variety of rooms and color schemes available allows the G Texas Catering team to cater and design an event tailored to your specific vision. If you are interested in booking this venue for your next corporate or private function, contact us one of our Sales Professionals at (214) 421-0774.